1914-18 Served with Artist's Rifles, Royal Sussex Regiment. Attained rank of Captain and awarded D.S.O. and Mentioned in Despatches. 1939 - 45 served with Cameronians, R.A.F. Regiment and the R.N.V.R. I notice he served in the Army, Navy and Air force in the Second world War. Do you know any background on that? Sorry Adam that's all the information I have on Lindsay Clark. I thought I would post what I have and hope others could maybe fill out the gaps. I take it he would not have been on active service by WWII due to age and thought perhaps he was involved in some kind of training or intelligence work which cut across the various services? 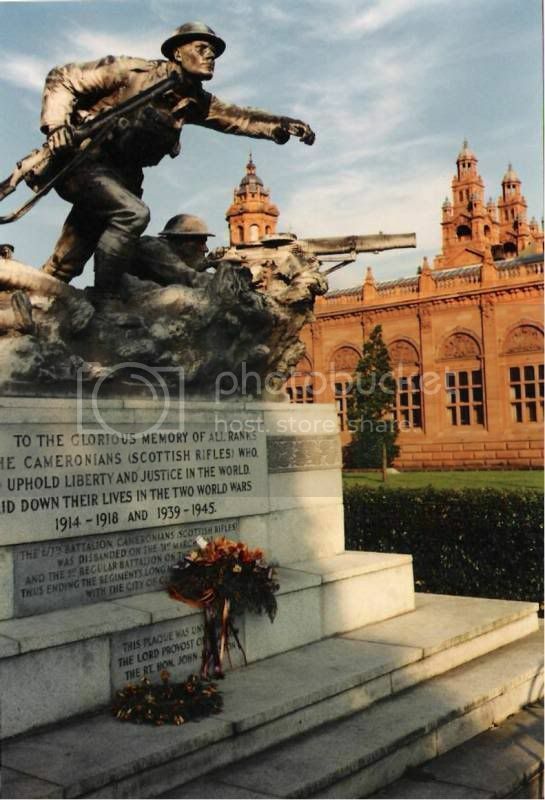 I have the same problem with Scott Sutherland who was involved with the Commandos in WWII which may have helped him win the commission for the memorial, but I don't know anything about what exacatly the involvement was. 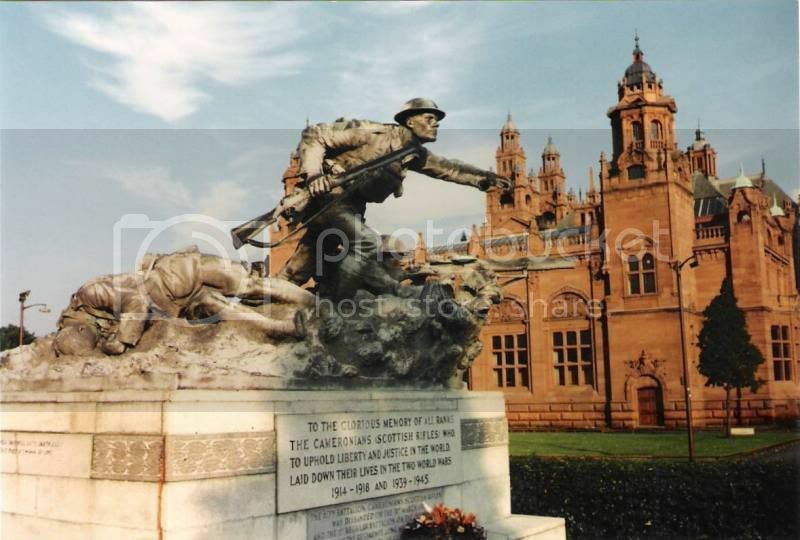 I thought your photographs of the Cameronian memorial were crackers, maybe you could post a couple of them on this page?